Cargo is the remarkably confident and moving debut of Belgian writer/director Gilles Coulier. 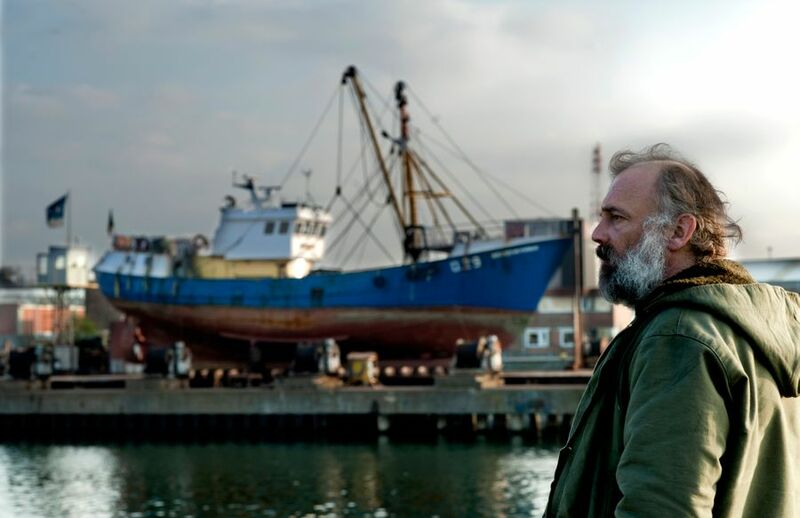 With a natural gift for dramatic realism, Coulier puts the viewer in the centre of a battered, but not beaten family of 3 brothers trying to keep their trawling business alive off the Northern European coast. When their father has a stroke during a particularly rough voyage, the brothers are confronted with the harsh reality that the business is overwhelmed by debt. The oldest brother puts the trawler up for sale and starts to drive a freight truck. The younger brother is barely staying ahead of some loan sharks who want their money back and the middle brother is a closeted gay man in love with a refugee seeking a better life in England. Coulier explores themes of how socio-economic woes force individuals to make heart wrenching decisions; a terrain turned into moving cinema by his fellow Belgians, the Dardennes Brothers. However, it could be argued that Coulier, even in this first film, may turn out to give the Brothers stiff competition. He has a rare ability to show the harsh physicality of how some earn their living as if he has discovered a way to channel Italian neo-realism for a new generation. Coulier is helped immensely by his superb cast and an unsentimental way of working with child actors. Cargo has a very good chance of scooping the London Film Festival’s First Feature Competition top prize due to its confident balance of visual storytelling, sense of place and verisimilitude.